The Justice Department now says the courts should strike down the entire Affordable Care Act — not just its protections for pre-existing conditions. The department signaled its new, broader position in a legal filing Monday, part of a lawsuit challenging the law's individual insurance mandate. 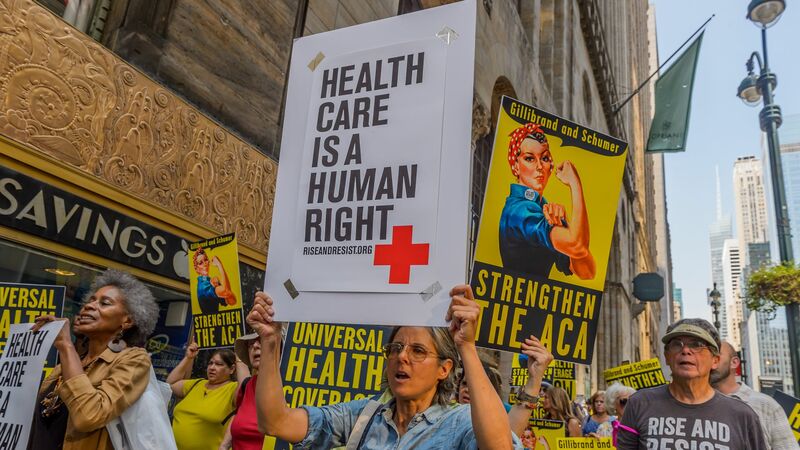 How it works: A federal judge ruled in December that the ACA's individual mandate has become unconstitutional, because of the way Republicans zeroed out the penalty for being uninsured. He said the entire ACA had to fall along with the mandate — the position the Republican attorneys general who brought this lawsuit had advocated. At the time, the Justice Department had agreed that the mandate was unconstitutional, but said only 2 other provisions needed to go — the one requiring insurers to cover people with pre-existing conditions, and the one prohibiting them from charging those customers a higher premium. Now, though, the Justice Department says it agrees with the judge's entire opinion, and won't challenge any part of that ruling as the case heads through the appeals process. What's next: The case is pending before the 5th Circuit Court of Appeals — the most conservative appeals court in the country. From there it would go to the Supreme Court.